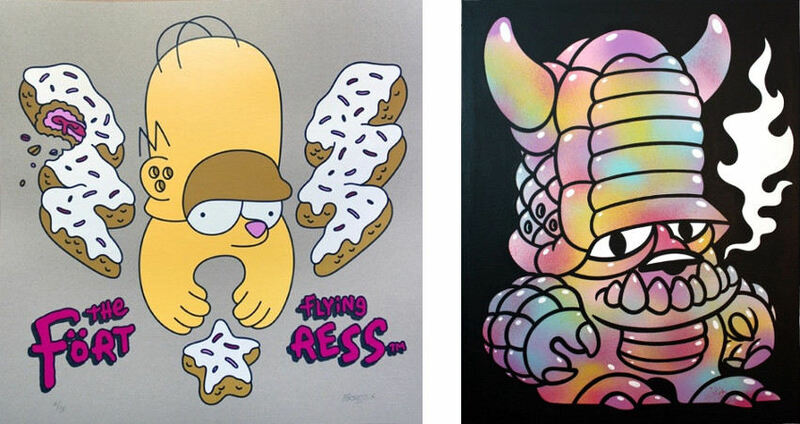 Flying Förtress is a talented German graffiti artist, designer and illustrator, working in several techniques, whose hallmark is the well-known Teddy Trooper figure. He was born in Munich, in 1974. After about six years of doing graffiti, he hit creative dead-end in 1995 and got his focus on the graphic studies. Simply put, he felt the need to change something about his work. So, in the early 00’s Flying Förtress went back to the streets, but this time, he had an army with him. The famous and widely recognizable Teddy Troops were born. It was like the army was growing with each new illustration, each new graffiti. The artist’s name, even the Teddy Troops, they have their origins in war, but the artwork seems to be just joyful to watch, without any kind of negative context. Flying Förtress got his inspiration where one could think it is all dark. Primarily an illustrator, the artist wanted to switch from graffiti to something more modern, something that could challenge him on a totally new level. In the process of making something recognizable, the Teddy Troops were created, a concept of iconic status in modern art. After more than 10 years of pursuing this concept, Flying Förtress often finds himself bored and wanting to give up. This is a challenge for the artist, and by overcoming the difficulties, his work grows even bigger and stronger. 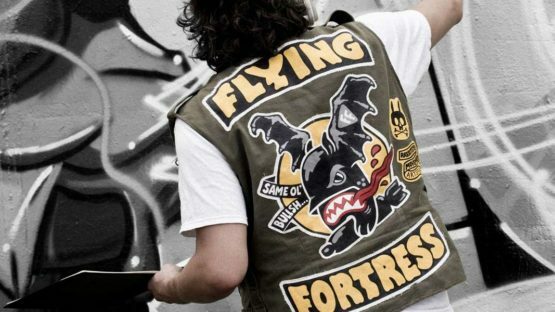 Flying Förtress lives and works in Hamburg, Germany.